Peasant blouse is a must in every closet. You can wear it with so many options. You can go for an elegant look wearing it under a jacket or just with trousers. Or you can go for a casual look and wear it with jeans or shorts. So pick a fabric and choose your attire. 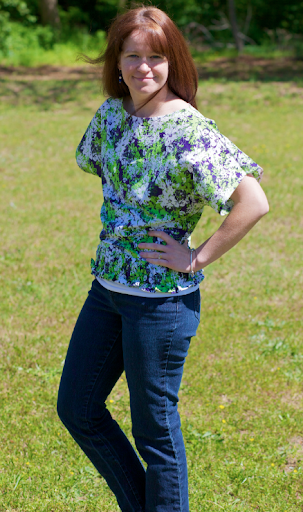 Leah from sew spoiled will show you how easy is it to make your own blouse. Ruffled blouse is such a cute idea, so why don’t you try to make one for your wardrobe? Find the tutorial on He’s Got My Whole World In His Hands. You have to see what Stefi from Just Chic used to make this blouse. It’s made from..... a pair of pillowcases! How smart is that? Visit her blog for the tutorial. You don’t need to buy a new fabric to sew a blouse if you already have men's button-down shirt that no one will ever wear again. Uset this shirt to make a peasant blouse for yourself. Alexis from Made by Lex will show you this refashion tutorial. 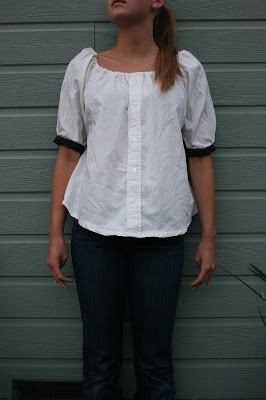 Did you know that blouses are so easy to make? Yulia, thank you for sharing my tutorial with your readers. You have gathered a very nice collection of blouses and you're right - sometimes it isn't difficult to make a blouse, especially if it's a refashioned one.